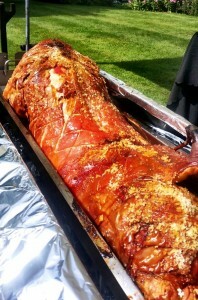 Being an hog roast hire Epping caterer has its advantages, i get to see many happy customers walking away with a smile on there face after trying one of my hogroasts. An average-sized pig takes about five or six hours to cook however this is dependant on the size of the pig, so plenty of time to watch the game while our hog roast Epping chef gets on with preparing the food. We can have it ready for a post match meal or a half time snack. For easy food that doesn’t take much attention away from the game we can offer a hog roast Epping barbeque-style meal, or for something a little more involved a full sit-down dinner is available. We love to offer options, and that’s why we can provide as much or as little food as suits the occasion. A large pig for over 100 people or a small one for as few as 10, with side salads, potatoes, and dessert or only napkins. Full meals with waiting staff are available if you are wanting what we would like to call the full service, royal Dalton crockery is available if you are wanting something a bit more formal, and silverware are popular at weddings, and the spectacle of a hog roast Epping pig roast is memorable enough to add to the spirit of the event. We even offer the hire of the machine too so you can cook the roast yourself a great chance to be able to cook just about anything not just meat but you can use the machines to cook jacket potatoes, new potatoes and just about any vegetables that you fancy, although most people opt to have the chef do all the work! Especially as our staff discretely clear away all our rubbish when they’re finished. Why cook and clear up if you don’t have to? If you do opt to “do it yourself”, we provide full training on how to get the best out of the machine safely. There’s also an option to use the rising heat of the ovens to cook on barbeque plates, allowing you to cook burgers for the kids – or piles of Epping sausages so everyone has something to get their teeth stuck in to! There’s a great sense of history in Epping, even though it’s popular with young professionals and families. 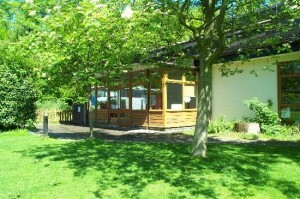 This makes it a wonderful place to cook our hog roast Epping party food, because of the unique atmosphere. Epping is unusual because it’s both separated and surrounded by Epping Forest, as well as being surrounded by farmland, which gives it a great rural feel. Like so many other towns, Epping has its own food history. In the 18th and 19th Centuries Epping Butter was popular (and praised by Mrs Beeton) although it’s no longer made. Epping Sausage is still made though, by Church’s Butchers – who have been trading on the same site since 1888! Until recently Epping had a monthly farmers’ market, but it still has a weekly market that’s been running since 1253. Fantastic local produce has always been available at both. We love to cook for areas with food history, because they really appreciate our efforts to feed local people with hog roast Epping local food – all of our meat is sourced from suppliers in the area, whether the customer chooses pork, beef, lamb, turkey, or chicken. Barbeque menus are not only popular in the summer months but in winter too as a nice warm snack at events nobody can resist a sausage barn with ketchup well nobody apart from the vegetarians that is and if there happens to be some vegetarians there we could also supply your event with a meat free option the possibilities are endless we have a few options for them to choose from so everyone can have a wonderful meal that is out of this world your guests will certainly be impressed that you have thought about everyone’s dietary needs when you organised the spitting pig hog roast Epping company for your catering.